It is always a pleasure reading the writings of APJ. These are so inspiring, emotional and straight-from-the-heart type that everybody who reads him can follow and connect oneself with the contents. This book is an autobiography of this great man called APJ Abdul Kalam, though it does not follow a traditional structure of an autobiography. The book is designed very nicely and makes a easy and engrossing read, just like any story book. As a believer in journey more than the destination I enjoyed going through it and almost finished it in two long sittings. Though some of the stories I had read through other sources, however it was first time to read about his family through his own words. The life lessons from his journey are touching, relevant and practical in nature. His views on education, on developed India, on meeting deadlines, on dedication, on loyalty, on mutual respect are really worth reading and learning. The journey that I followed through this book could be summarised in a small para like this. 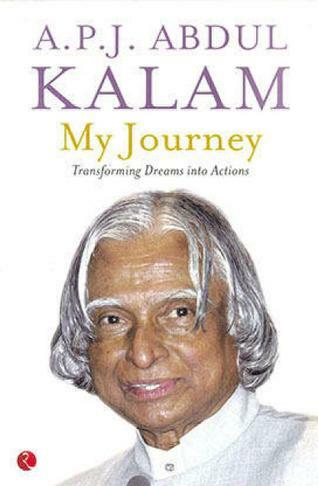 APJ was born in Rameswaram (Tamilnadu) in 1931. His father (Jainulabdeen) was a boat maker and also ran ferries to earn living. He was a pious soul and taught him through religious teachings. His was a joint family. His cousin, Ahmed Jalaluddin was his first mentor who had lot of trust and faith in APJ and always motivated him to pursue good education. While APJ was 8 years old, he helped Samsuddin (one of his cousins) in selling newspapers and he continued a hectic routine of getting up at 4 am, going for tuition and then to the Railway station for fetching newspapers and then to distribute them in the locality, then an hour of religious teaching and then for school. After school the evening was meant to collect the dues from the households for newspaper and then study. This hectic schedule taught him the value of hard work and the learning from his father's morning walks and newspaper distribution, developed in him a habit of getting up early in the morning which he continues still now. He did his engineering in Aeronautics from Madras Institute of Technology, Madras. Fascinated by the life of birds and the teaching demonstrations by his teachers on the bank of the sea, he developed an interest in flying and wanted to become a pilot but was not selected. However he was selected as the senior scientific officer in the Directorate of Technical Development and Production (Air) under the Ministry of Defence. Later he became a known space scientist and worked with the top scientists of India. Popularly known as Missile man, APJ rose to the highest position in the country as President of India. And rest is history. The book is divided in 12 small chapters, each focusing on his relationship with individuals and few objects like boat making. The lessons learnt from his mentors like cousin Jalaluddin and Mr Vikram Sarabhai and from his father, mother, brother and sister are narrated through an interesting style of story telling. A chapter is also devoted to the books which shaped his thinking and influenced him most. The journey of a village boy from a remote place called Rameswaram in Tamil Nadu to the Rashtrapati Bhawan in Delhi is narrated so modestly and honestly by the person himself that one can not afford to miss reading it if one is interested in knowing and learning the rich heritage of human values of India. Who says hope is fading off in India, you read this small journey, I bet you would believe that it is possible and there are people alive in who still make a difference not just through their words but through their deeds and actions for transforming this great nation into a developed nation as visualised in the last chapter of the book - miles to go.